At Rienco Consulting, we are passionate about surface water hydrology – a field of water engineering that looks at recorded and design rainfall patterns, the conversion of rainfall to runoff, and the physical catchment processes that occur in between. It aims to collect, collate and analyse data to help understand the volume and distribution of runoff. We use hydrologic modelling to understand the volumes of water coming onto or being discharged from a catchment at any one time. This helps us predict flood levels and, together with hydraulic modelling, helps up plan infrastructure and development commensurate with the the flood hazard. We use the best available software for this work – which we also co-author (WBNM). To ensure that we continue to deliver the highest quality service in our field, Rienco Consulting stay involved in the testing techniques and technologies and are committed to ongoing research in the area of surface water hydrology. We are currently involved in several studies involving the advanced modelling of flood water volume in hydrologically complex catchments. 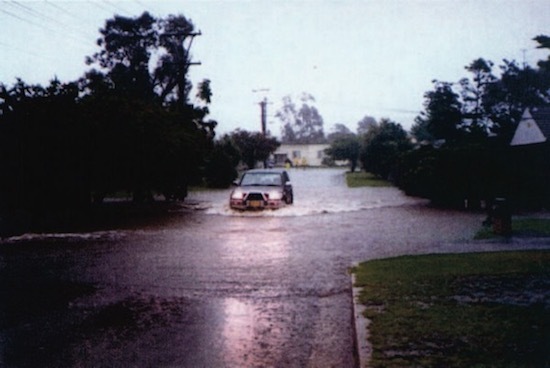 Horsley Creek in Shellharbour NSW is a good example, urbanistaion there has inadvertently created water diversions and areas of localised flooding. To assess the problem, we used a computer software system (Watershed Bounded Network Model or WBNM) to simulate flows and flood stages at various key locations within the catchment, and then cross checked them with original predictions. 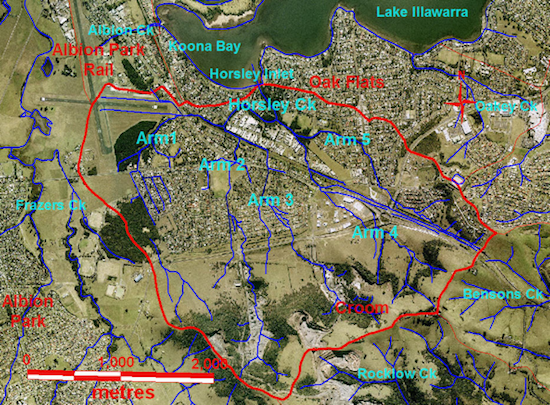 A similar study is currently underway in Macquarie Rivulet, north of Horsley Creek.